This past weekend I was sitting down and thinking about how to challenge myself in a brand new way. As I was reflecting, I noticed one of my friends sent me a link to poem written by a Native American Shawnee Chief Tecumseh which is the poem read at the end of the film, “Act Of Valor”. There is a lot contained in the poem so plenty of ways for a person to gain knowledge or motivation after reading. Even if you only take one or two ideas from Shawnee Chief Tecumseh’s piece that to me is a success so on that note I say thank you Chief Tecumseh! "So live your life so that the fear of death can never enter your heart. Trouble no one about their religion; respect others in their view, and demand that they respect yours. Love your life, perfect your life, and beautify all things in your life. Seek to make your life long and its purpose in the service of your people. Prepare a noble death song for the day when you go over the great divide. With this poem in mind I decided to challenge myself. Find a way to challenge yourself so that you aren’t weeping, praying for a little more time to live differently down the road. 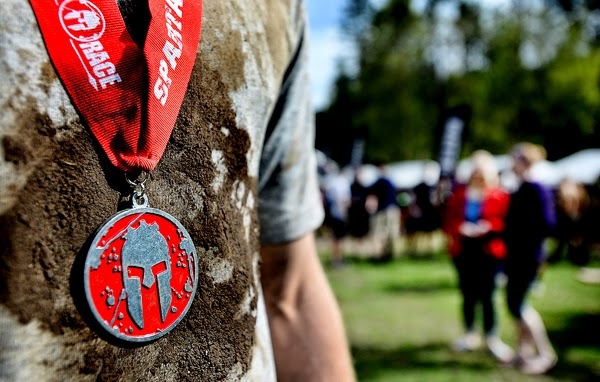 For my challenge, I am training for a Spartan Race in Milwaukee, WI on November 1st. Over the next 5 weeks I will be doing burpies, squats, push-ups, and I’ll also be amping up my cardio training. I already feel refreshed, rejuvenated and excited to see what my mind and body can achieve through this chapter of my training! Feel free to follow me on this journey through my twitter @wellnessrf where you will also find my training and nutrition tips!